Following the success of the revolutionary Ben board, BZ introduced a variety of other Ben boards with slight variations to help tailor the board to a wider range of riders. The original Ben board featured an Arcel core, but the Ben PE used polyethylene instead to give riders the feel of a more traditional core. 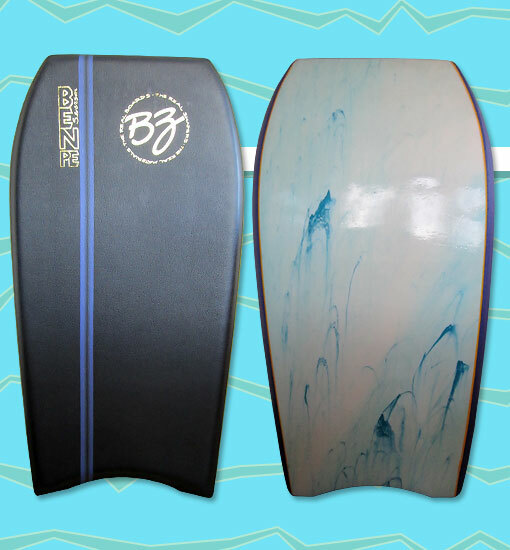 Another change was the removal of the slick-skin rails and tail; the Ben PE used the more traditional high density polyethylene found on most other boards. Photo: Matty Chappas.